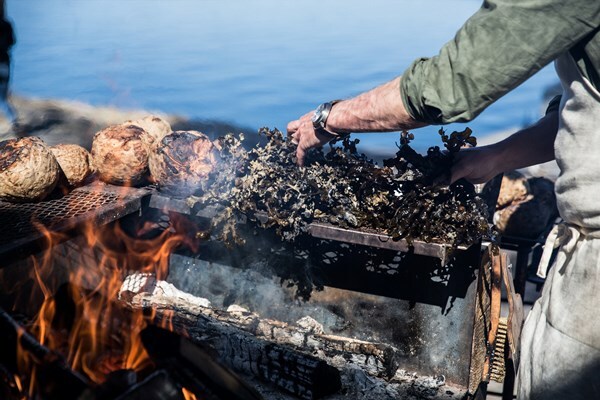 Meet Danish Chef Mikkel Karstad in a talk about cooking over open fire, Nordic cuisine, how he became a chef and if it’s true that he swims outdoors all year round. 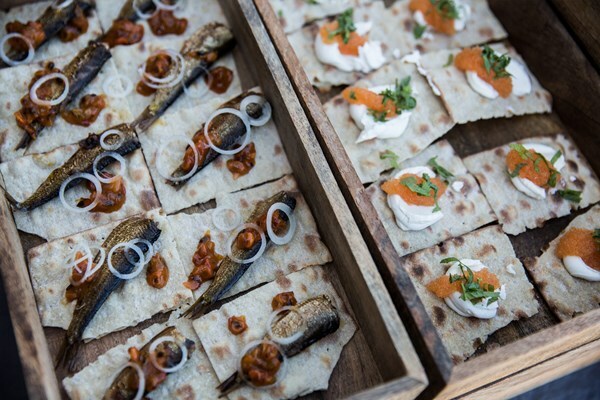 Chef Mikkel Karstad started his career in Denmark which was soon followed by work at some of London’s top restaurants. After some time he came back to Copenhagen where he became part of the New Nordic movement which was just getting started. After a few more years of cooking in Copenhagen which included working for the Danish parliament Mikkel Karstad changed his focus and left the world of fine dining. 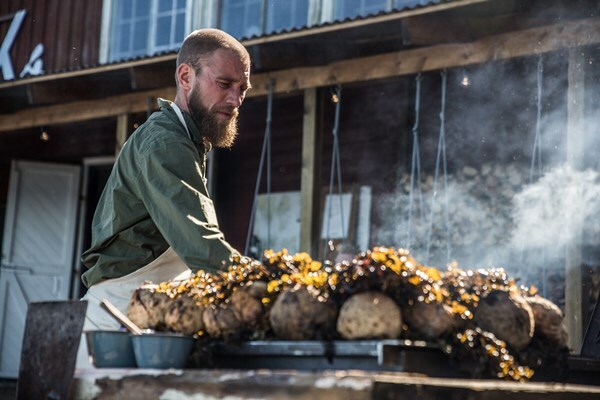 Since then Mikkel Karstad has become a freelance self-employed chef who is involved in numerous projects. 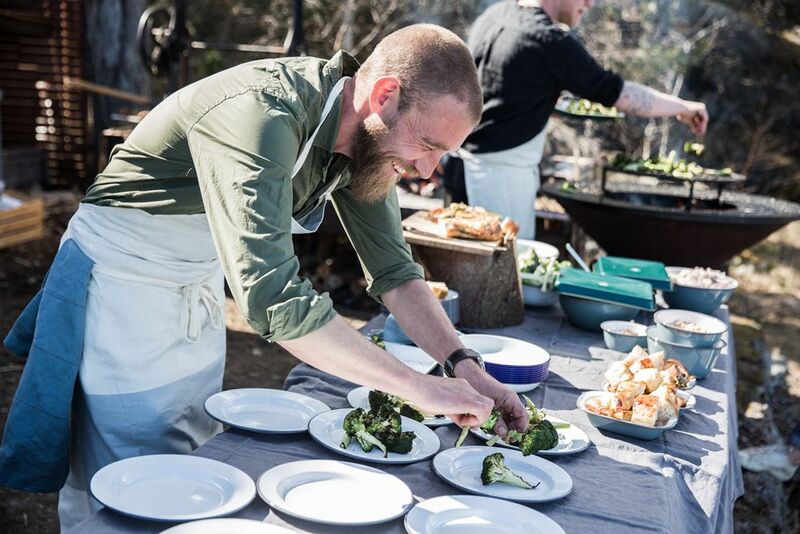 From creating cookbooks, working with food magazines, creating better food for the elderly or as he will be doing this summer, cooking over open fire on an island in the Swedish archipelago. I think it’s time I talk to Mikkel about all this and how he became a chef, keep reading. I started working in the kitchen when I was seventeen but my quest with food started in my childhood. I spent summers with my Grandma on an island in the southern parts of Denmark. She used to grow vegetables, buy local fish and things like that. She also cooked for other people, not like a chef, more like the word about her food got around so sometimes she was hired to cook for others. She was really the old type, storing and curing vegetables from the garden and really using everything and planning the food. I think that’s where my interest for food started. Probably without even knowing it. By the time I was 15 and in school I was sure I wanted to be a chef. You started out in Denmark and been working abroad as well? Yes, I worked for four years in Denmark as part of my education. Then I went to London and worked at some high-end Michelin starred restaurants. It was work at a really high level and really really hard work for almost no salary. It actually cost me money to go work there. It was still a really good experience, to see a bigger world outside Copenhagen. Then I came back to Copenhagen and worked in a few different restaurants. That’s when I started of thinking to change the way of how I work with food and taking a new direction. Both because of how I feel about food but also because by then I had started a family and I couldn’t give every hour to my work. Now it’s been a few years since I changed direction. I still wanted to work with food but not in the top level restaurant way anymore. It’s not unusual for chefs to change direction for family reasons but I also noticed that many start out in high end restaurants but often choose simpler food later in their careers, why do you think that is? For me I did it because it made more sense to me. The family was a part of it but my goals and ambitions had changed. I wanted to make more simple food and let the ingredients speak for themselves. Something really local and seasonal made more sense for me. A lot of things also changed with the Nordic revolution or whatever you want to call it. So chefs had to change as well. When you’re a young chef you only know about these high end restaurants, but when you learn more it makes more sense to cook something more simple, closer to nature and hopefully also closer to your heart. At least that’s how it is for me. You were a part of the Nordic revolution or New Nordic, how do you think that has changed how chefs work and how do you see it going forward? I think when it started it was mostly high end restaurants doing it and it was very complicated food. Many techniques were learned in Italy, France and Spain and were used but we tried to do it in a Nordic way, with Nordic ingredients of course. Now many are going back to basics, it’s still Nordic and still complicated in a way and at the same time more basic and simple. Like how many are now cooking over an open fire, they would never do that in the beginning. Then it was very controlled. For now I think one of the biggest trends is the open fire and cooking outside, many are changing and going back to more traditional techniques. This is the biggest change, they are going even further back, to the basics right at the beginning. Does that make sense? Totally, at the beginning it maybe felt like a Nordic El Bulli in a way? Yes something like that but with Nordic ingredients. Now I think they made their own thing, it’s really Nordic now and I think it has its own identity now more than they had in the beginning. 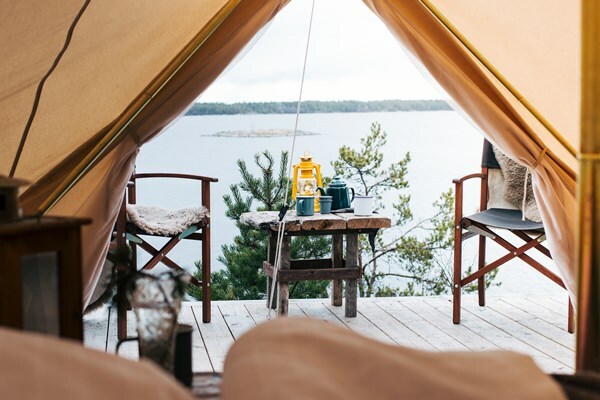 Cooking over open fire kind of brings us to what you’re doing this summer with Scandinavian Detours, can you tell us what that is? Yes, we open a restaurant at Fejan Outdoor, guests come and sleep in the tents that are there and we open for just a few people each time. We cook over an open fire for the guests and we try to use ingredients from the island and also local meat, fish and vegetables. It will be really simple food cooked over fire. 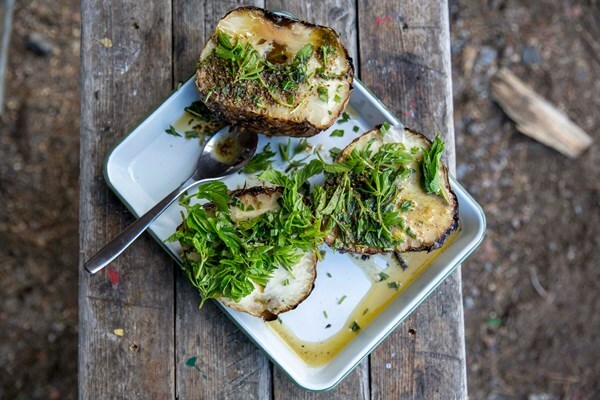 For example we make a celeriac covered in seaweed and cooked in the open fire, we get an intense smoky and a salty mineral taste from the seaweed. We’re also making pancakes with wild herbs from the island and juniper berries. So no set menu I guess? I set the menu but since we made it first in April, now June and then in August and September I will adjust depending on what we can use from the island. 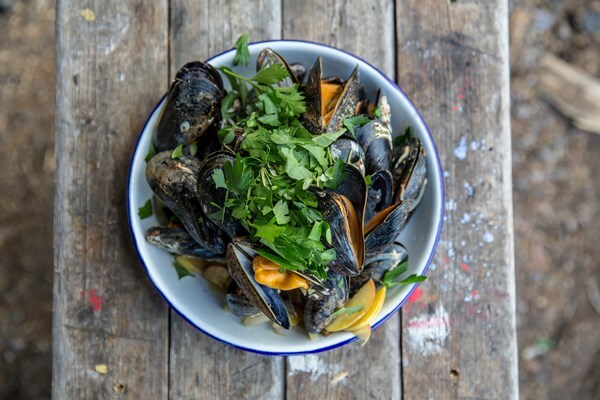 Just simple, local food, and let the island speak for itself in a way. The setting is fantastic as well, guests can arrive in kayaks to the island and there are not so many guests each time so it will be a very relaxed and social night. What made you want to be part of it? I really enjoy outdoor cooking and nature, it’s a big part of my life so when they asked me it felt natural. Going to a great place and making food that’s unique for the location. I also have a side story about this place, fourteen years ago I went there with my wife. We stayed for a few days and at the time we were trying to get pregnant. By the time we got back to Denmark she was pregnant, so it’s a bit personal as well. Much of what we talked about now is my type of food. Local, seasonal, simple food. Let the ingredients speak for themselves. Like now we are at the end of the asparagus season, I love to cook with it so I do really simple things like grilled asparagus with a vinaigrette. I think when things are in season they speak for themselves. So is asparagus your favorite thing to eat at the moment? I’m almost getting tired of it, they are at the end of season so I’ve been eating them like crazy the past month. Now I have to realise that it will be nine months before they are here again. I also have to mention all the other things that you can find and eat now like spruce, elderflower and rose hips, it’s exploding out there and you can find everything. I even found the first chanterelles of the season the other day. Things like that really give me a kick as a chef. You have a great Instagram and a website with beautiful photos, how do you use those and do you photograph yourself? The stuff on Instagram is almost only things I photograph myself, much of the material is from my work life The website is more material from different work I’ve done. I like to take photos and so I get some questions about doing photo jobs myself but I say no because for me it’s a more a hobby and an interest. There are so many good photographers that are doing what they do best. So I think I’ll keep to the cooking. You work more like a Chef consultant and not in a restaurant anymore, thinking of creativity, do you think it’s easier to be creative now or when you worked in a restaurant? I work on more and different levels now, like with books, I’m involved in a project with food for elderly people and Scandinavian Detours, but its all food and I try to inspire in all of them. For me, I think it’s more creative now, of course I’m my own boss. It’s easier now to take something I find and use it for a photo or a recipe. In a restaurant you need a supply and if you find something in nature it has to be enough, can I put this on the menu? I’m rarely limited that way now so for me I can be more creative now. I guessed you would say that, like in the way a great restaurant can be really creative that does not mean that most of the people working are necessarily doing anything creative. I know, the head chef decides. Most of the things being made are made by line cooks where there is very little room for creativity. Last question, is it true that you swim outdoors year round? Yes, that’s true. About five times a week all year round. It gives me a clear mind and it’s really important for me. I’ve been doing it for about eight years now and it’s a great habit. Sometimes it’s just a quick dip and sometimes it’s more of a real swim. Thank you, Mikkel for your time and good luck this summer. To keep up with Mikkel make sure to follow him on Instagram and check out his website Weyoutheyate. More on Scandinavian Detours and how you can make a reservation below. 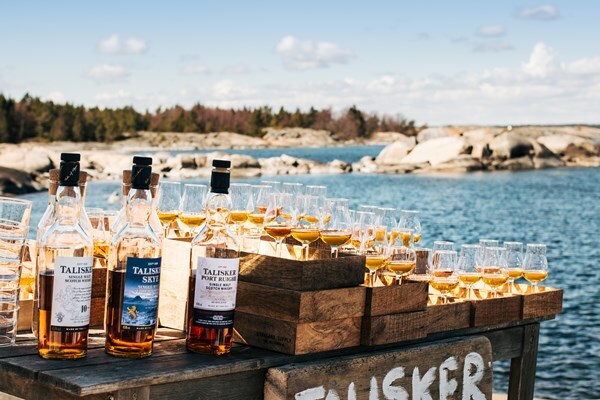 Talisker Whisky has created a guide to the unexplored parts of Scandinavia called Scandinavian Detours. With this online guide you’ll get to know everything you need to have your own Scandinavian detour. 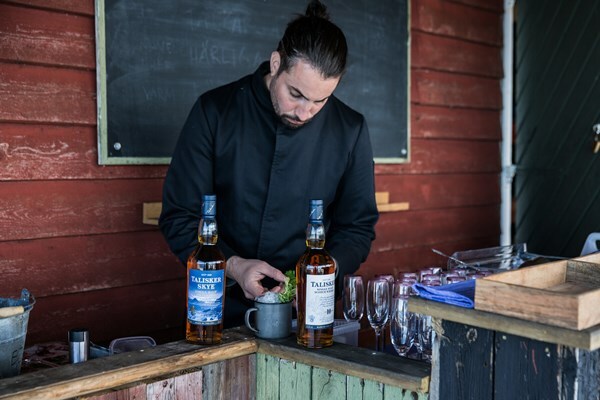 To make the guide as great as possible Talisker have partnered with some of the best adventurers in Scandinavia to treat you to the best unknown places to visit. 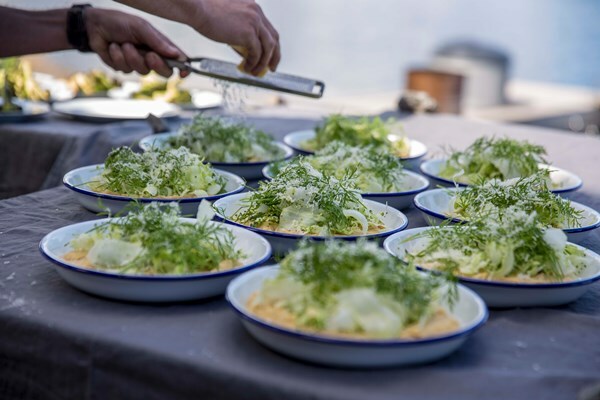 This year Scandinavian Detours has partnered with Danish Chef Mikkel Karstad to create a food and drink experience in the Stockholm Archipelago, on the island of Fejan. If you visit you will get to stay in a comfy and large luxury tent with a queen size bed, hotel bed linen, and a small wood-fired stove. 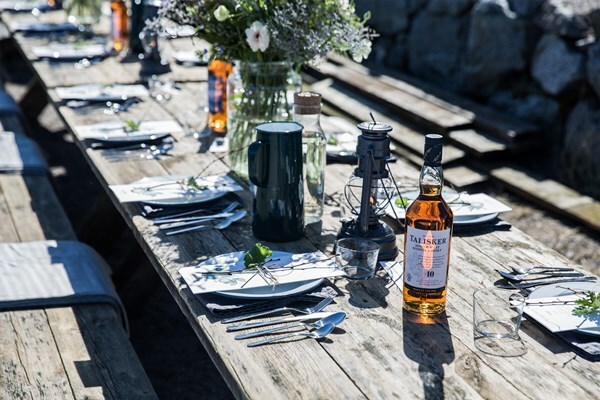 The Danish star chef Mikkel Karstad will serve a dinner cooked over open fire combined with Talisker whisky cocktails and you will get a fantastic hike led by David Kvart. Tickets are limited so make sure to book if you’re in the mood for a lifetime experience.